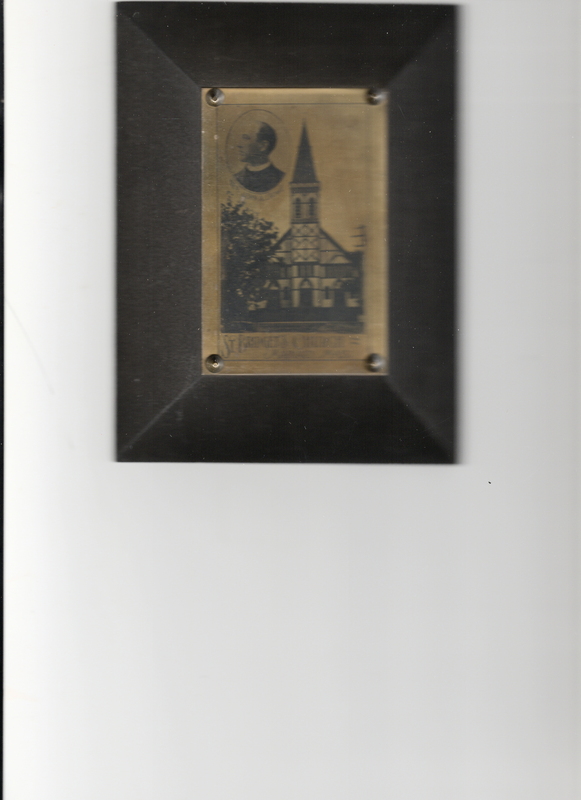 A wooden wall plaque with a picture of Rev. John A. Crowe, and St. Bridget's Church. 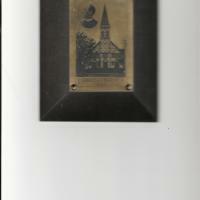 “Wall Plaque - St. Bridget's Church,” Maynard Historical Society Archives, accessed April 24, 2019, http://collection.maynardhistory.org/items/show/6595.